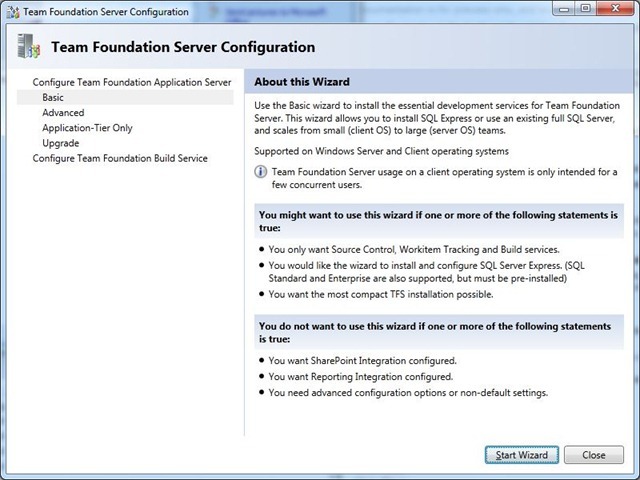 This entry was posted in Team Foundation Server and tagged beta, guide, TFS Basic by Julio Casal. Bookmark the permalink. Thanks a lot for putting this together! I have posted a cliff notes version of the install process and linked to your post and video! I’m glad you found it useful! Have fun! I’m looking for a solution that is similar to VSS on XP. It appears as though the repository exists within SQL server. Does that pose any issues for multiple user access? Certainly, installing on a local instance would pose a problem. Do I need a production (public) SQL Server install to make TF Basic available to other users? You used to install VSS on a network drive and you were ready to go. Todd, what you describe is actually an intended scenario for TFS 2010 Basic. You can install everything in one machine, like Windows XP and your small team will be able to access it from the network. Basics exposes the same web services that access sql server that the full product uses. It simply conditions out the sharepoint and reporting features. It fully supports concurrent access both locally and remote over http. Team members can access via VS and the web interface (http://yourserver:8080/tfs/web). Even on a client OS like Windows 7, the code is the same code that internally scales to thousands of users. IIS on a client OS will be gated to something like 40 concurrent requests which is still pretty high. For a team where a handful of folks are doing concurrent continuous access, it will be fine. If you install it on a server OS, those limitations drop away. The application tier is not support on XP though – only build is. Basics works on Vista, Win7, Svr 2k3, 2k8 and 2k8 R2. SQL express is also full featured with the exception of a 4GB limit. Even at that point, you can back it up and restore it to a full SQL server and continue to grow. We’ve been working hard on these configuration options and I appreciate any feedback. If anyone has any issues, feel free to email me directly. I really appreciate your feedback on this post Bryan. Nothing can be more useful than a comment from a Microsoft Employee! Thanks! Hey Julio. Thanks for this post. Given that I am quite new to the TFS world, I don’t understand what this means nor how it can be fixed. Have you encountered this problem, and do you have any ideas for resolving it? 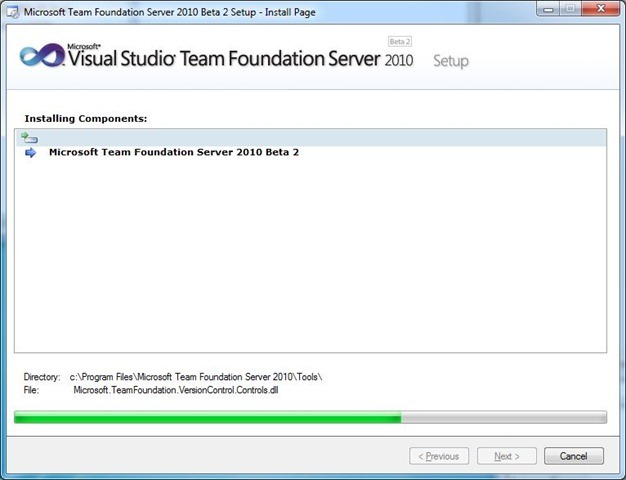 Are you still using Beta 2 of TFS 2010? If so, go get the RC because this was a known issue for Beta 2. 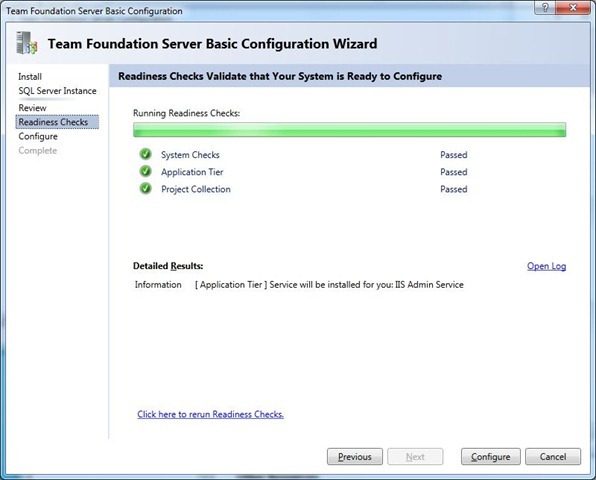 Are you installing TFS in a domain controller? I’m using TFS 2010 RC. I think I am installing TFS on a domain controller, because my laptop is part of a company network, therefore my domain is set to that of the company. Thanks Julio. Yeah, I was already following that thread…hopefully there will be a fix soon. For now, I have managed to install TFS on a Virtual PC (which doesn’t belong to an active directory) and it works fine. It has some drawbacks though. Nice post. I’m trying to repeat this on my Win 7. Build Controller configuration fails after successful installation and App tier configuration. Keep throwing Exception Message: TF30063: You are not authorized to access http://sahas-pc:8080/tfs/DefaultCollection. (type TeamFoundationServerUnauthorizedException). 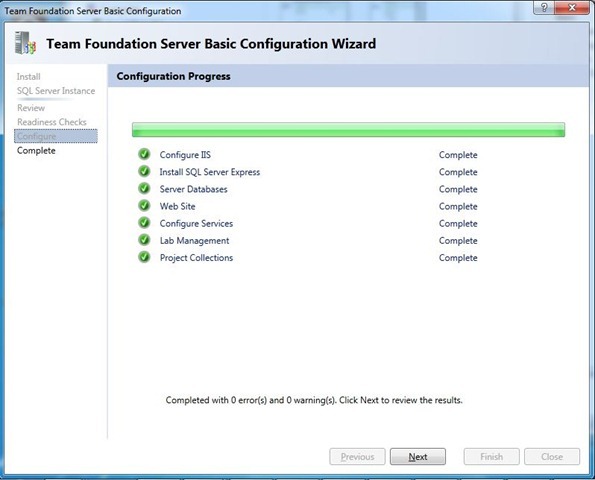 If that’s true, which account you specified for the configure Build Machine step? 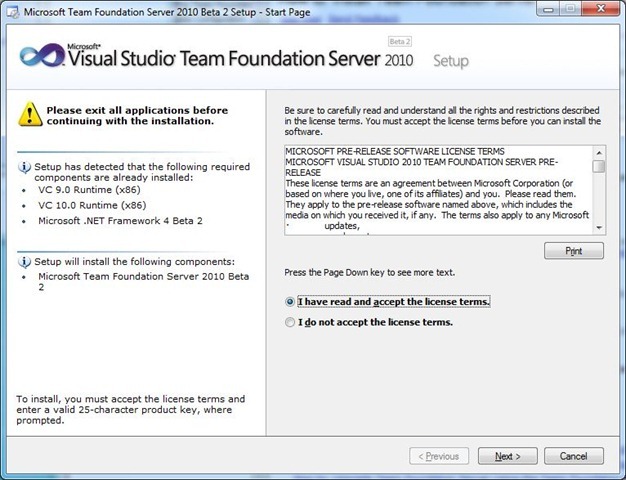 I installed TFS 2010 RTM as described above and it works locally. But for some reason I can’t access it via the Internet. I keep getting a TF31003 error. It looks like me permissions don’t get pased thru when hitting it externally. Any ideas? First of all great work on putting all the info out for everyone. I really enjoyed all of your 11 series videos. Only issue I found was video is few second slower than the audio while I watched on youtube. Any idea how to fix that one? Will appreciate your comment. Yes, sorry for that issue. Please download the videos from the media gallery of this site instead of watching them on YouTube. The ones on this site have far better quality than the ones in Youtube. 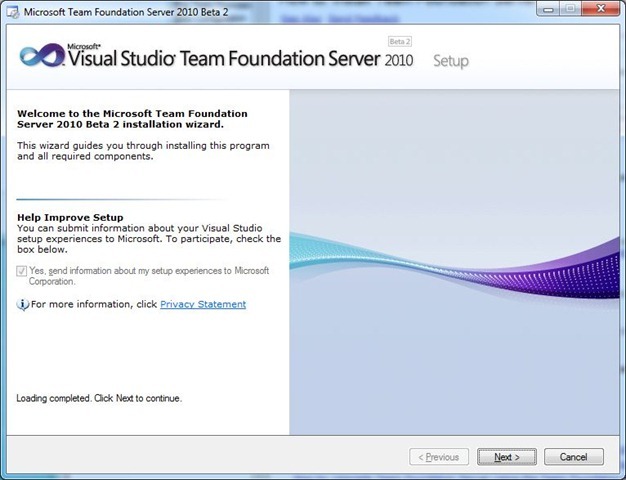 I already installed Microsoft Visual Studio Ultimate 2010 and i don’t know how to set my Team Foundation Server , I have windows 7 ultimate. Beta 2 version is no longer available, and even if it was you don’t want to use it and it had﻿ several bugs that are now fixed in the current release version. You need to get a trial or a paid version. Woo, thank for this scrip. But when i finish setup TFS, i can’t configuration server name to connect to TFS. dinhvinh90, what specific error are you receiving? 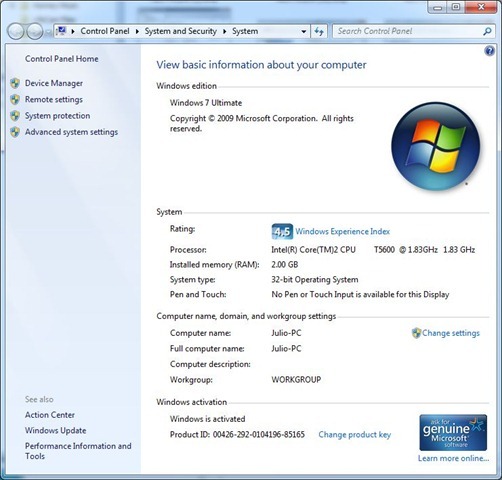 I was successful to install TFS 2010 in my Windows 7 Ultimate SP1. I successfully connected to it using another computer by connecting to my localhost through my IP address. But I don’t know how to add users to it. The general guides and documentations are for Servers, I guess. They don’t work for Windows 7. Can you provide me a hint on how to add multiple users to the Team Project ? Very helpful indeed. Thank you so much Julio! Many thanks on this blog. I taught I can only install it on Windows Servers.